Delivery on your order is typically next day, Orders must be placed before 1pm to give us the best chance of despatching same day. It is very important that, Whoever signs for the goods checks very carefully that all goods have been received and that they are undamaged, even if this means the courier is kept waiting while you check them. Please ensure all goods are checked thoroughly before being signed for. Refunds are not always possible for goods that have been damaged whilst in transit. The words unexamined or unchecked on the delivery note/docket are not acceptable. We will not be held responsible for the refund of goods damaged in transit if they have been signed for as in good condition. Once goods have been signed for you have officially stated that you have received the goods complete and in good condition. Volvo Saab Breakers Ltd will not be able to process a “freight damage claim” with the freight company, if the receiver of the goods has not noted the damage at the point of receipt on a damaged freight report form that the driver will have. Volvo Saab Breakers Ltd cannot accept responsibility for any damaged or (missing goods from torn packages), once they have been signed for and accepted to be in good condition. Parts will carry a minimum guarantee of 30 days and only parts shown on your invoice/receipt are covered by the guarantee/warranty. If any part supplied by ourselves proves to be faulty during this period, it may be returned to us for an exchange. If no exchange is available within 48 hours a refund will be given. Any part(s) correctly supplied by us and returned to us within 7 days is subject to a 20% handling charge at the managers discretion. Engines: Customers must state if ancillaries are required. 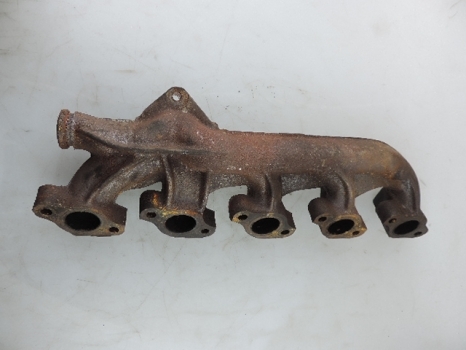 If request has been made, stating complete engine wanted, this means head, block and sump, it does not mean with ancillaries as these may be sold separately, any ancillaries left on the engine e.g water pump, cam belt(We always recommend the fitting of a new cam belt) are given free of charge and are not covered by this guarantee. This guarantee is void if any part supplied has been tampered with in any way i.e seal broken, taken apart etc. Please note all parts supplied, are marked with our company stamp/initials, removal of these marks will invalidate your guarantee/warranty. Our Guarantee covers parts only. It does not cover any labour charges or from any fault arising from the fitting of this part. We will refund the price of the part in full but will not pay for any fitting charges. It is your responsibility to check that any part(s) supplied is correct prior to fitting. All goods should be inspected upon delivery before signing to ensure that the item has not been damaged during transit. If goods prove to be damaged, do not sign, refuse delivery & contact us within 1 working day. This is to ensure that if necessary, a claim can be made against the courier company. In the event that the delivery driver does not allow time to inspect the goods sign the Delivery Note to obtain them, but delete any wording in the signature box to the effect that the goods were 'Received in good condition'. Mail order: Under selling regulations a PRIVATE CONSUMER has a 7 day "cooling off" period in which he/she may return the goods to us for a refund. However delivery is a separate contract and once completed is non refundable. Goods once signed for are to be returned at the Customers expense. In the event that a part is supplied as ordered but the customer had ordered incorrectly, we must be contacted immediately and the part returned to us within 7 days of purchase at the cost of the customer. Refunds will only be made upon the return of the goods to our premises. All engines purchased must be fitted with a new timing belt/cam belt/chain and filled with new oil upon installation. Failure to follow this procedure will result in the guarantee/warranty being rendered null and void. By accessing this website and/or placing an order, you agree to be bound by these terms & conditions. Title to the goods shall remain with us until paid in full with cleared funds. Why choose us for your Volvo and Saab parts?